Police, firemen and other government workers will be laid off to cover pension costs. Once again, politicians have proved they cannot be trusted to safeguard public employee retirement benefits. An attorney for police and fire unions in Harvey, Illinois, says 18 firefighters and 13 policemen are believed to have been laid off by the city, according to the Daily Southtown. City officials confirmed that layoffs to police, fire and other departments would be necessary to cover a court-ordered pension payment, according to reporting by ABC Chicago. While an extreme case at the moment, Harvey is a harrowing sign of things to come for local governments across the state, where residents are increasingly seeing pension costs crowd out core services. 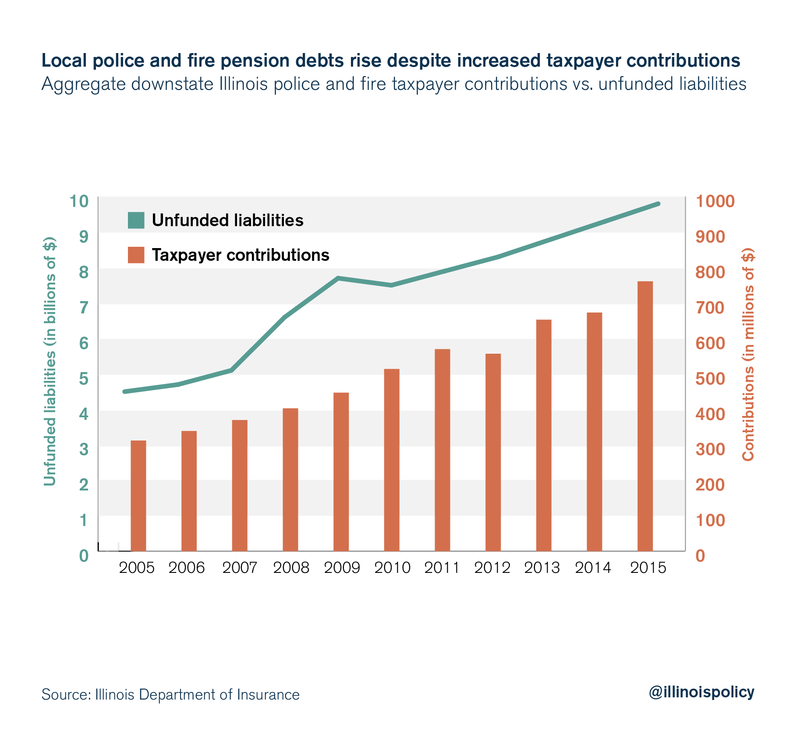 An appellate court decision in 2017 found that the Harvey firefighters’ pension fund was so close to being functionally bankrupt that payments to the fund were legally required under the Illinois Constitution, which guarantees pension benefits. A series of reports by the Chicago Tribune highlighted years of questionable decision-making that left Harvey’s police and fire pension funds only 51 and 22 percent funded, respectively, as of 2016. These poor decisions included an effort by the mayor to defraud investors in a hotel development deal, leading to sanctions by the Securities and Exchange Commission. In 2017, Illinois’ First District Appellate Court affirmed a trial court’s order that Harvey hike property taxes to pay for its pensions. The current layoffs come after Cook County Circuit Judge Raymond W. Mitchell denied the city’s request to force Illinois Comptroller Susana Mendoza to release $1.5 million in tax revenues she had been withholding from the city of Harvey to ensure payment of amounts owed to the police pension fund. The city had failed to make required payments for more than a decade, and the pension fund had sought to garnish remittances to Harvey from the state to ensure payment of the debt. The story of Harvey should be a cautionary tale for the state of Illinois as a whole. The unfunded pension liability for state pension funds – to say nothing of local pension debt such as Harvey’s – is between $130 billion and $250 billion, depending on who’s doing the analysis and what assumptions they use. State and local pension costs are already crowding out critical priorities such as social service spending and education. Much like the city of Harvey, Illinois lawmakers have a pattern of poor decision-making that has caused the state pension crisis. A compromise between former Gov. Jim Edgar and House Speaker Mike Madigan known as the “Edgar ramp” underfunded the pension system for decades, pushed higher payments off to future years and failed to rein in unsustainable promised benefits for government workers. Former Govs. Rod Blagojevich and Pat Quinn continued the problem by borrowing billions of dollars to make pension payments or intentionally making payments below the required amounts. 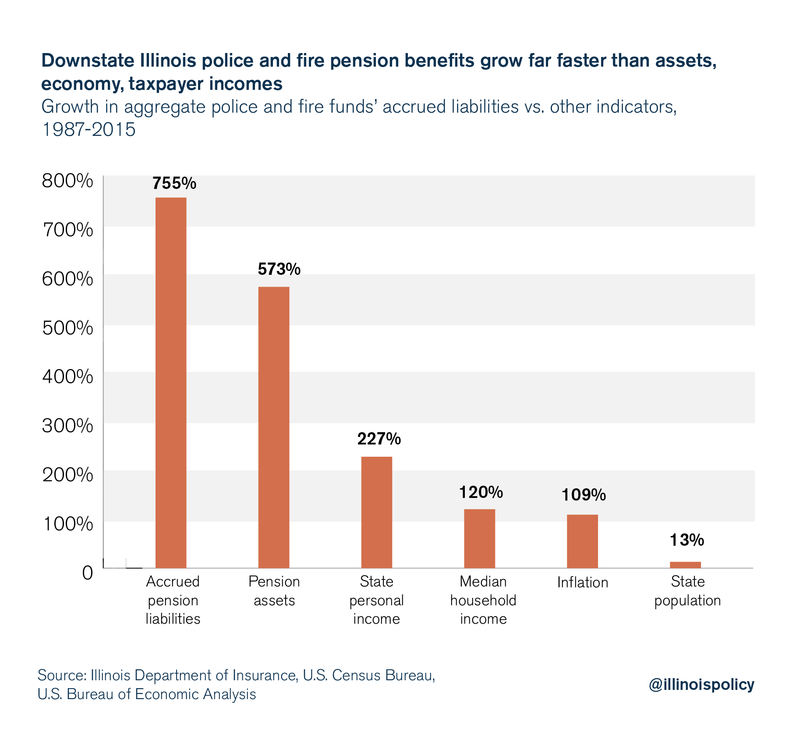 This problem is mirrored in local governments across the state, where hundreds of millions of dollars in additional taxpayer contributions have not been able to keep up with the rapid growth in pension benefits. Ultimately, the lesson to take away from Harvey is that defined-benefit pension systems are unsustainable. The only way for governments across Illinois to secure the financial futures of both taxpayers and public retirees is to immediately enact reforms that put workers, not politicians, in charge of their own retirement money. Defined-contribution 401(k)-style plans for all new government workers are a step in the right direction, but policymakers should also get to work on a complete structural overhaul of this unsound system.